Knowmia: Tool to “Flip Your Classroom” Is Getting Even Better! Knowmia is a website and an iPad app that allows teachers to create, share, and view instructional videos for students. It might be just the perfect solution for the teacher looking for a tool to help them implement “Flipped Classroom” instruction. Recently, Knowmia has been working on three knew features to add to their product. I think teachers and students will find these enhancements useful. 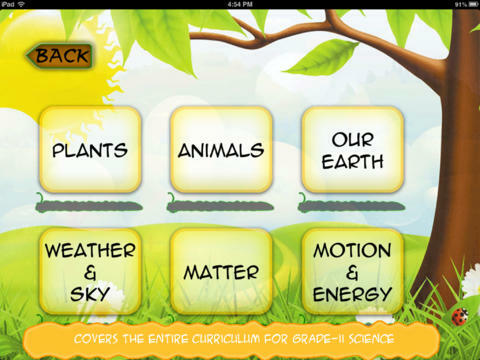 PlayScience II is an interesting iPad app that covers all essential topics in Grade 2 Science, such as Plants, Animals, Earth, Weather & Sky, Matter and Motion & Energy. It also has several activities such as a memory game, jigsaw puzzles, crosswords etc. along with animations, voice over and interaction that make learning fun for children. Because it caters to the entire Grade 2 syllabus, it can be used by parents to complement what their children learn at school or can be used by elementary teachers in their classrooms. The app does not require internet connection, and can be used anywhere - at home or at school. The makers of PlayScience II currently offer a "Lite" version for free and the paid version for $7.99. For more information about PlayScience II check out them out in iTunes here. Spellex Corporation has announced the release of a powerful dictionary enhancement for those who use Dragon Naturally Speaking software. With this enhancement, users can easily dictate and correctly spell in the healthcare, legal, and bioscientific fields as well as with engineering words and phrases. It allows users to update standard English speech vocabularies with comprehensive medical, legal and/or bioscience vocabulary dictionaries. It increases user accuracy while saving time and enhancing efficiency. It is effective for both the student and the seasoned, experienced professional. It allows users to more easily create professional looking documents. I allows users to verify both the common English language and specialty terms simultaneously. Spellex Dictation---Medical: It provides a medical enhancement for your speech recognition software and includes more than 70 medical specialties to correctly dictate medical and pharmaceutical words with far greater speed and accuracy than previously. Spellex Dictation---Legal: It is a legal terminology add-on to enhance your favorite dictation software. You can accurately dictate thousands of legal terms from 35 legal specialties varying from Administrative law to Wills and more. Spellex Dictation---BioScientific: It is a bio-science enhancement for your speech recognition software. You can quickly and accurately dictate thousands of bio-scientific words covering more than 50 different bio-science, physical science, engineering, and technology fields. For those seeking to expand the capability of expanding their Dragon Dictation software, this sounds like an excellent solution. To request product information, contact Spellex Corporation at 800-442-9673 or 813-792-7000. You can also visit http://www.spellex.com/products/speech-recognition-products.htm. It is in these times, practicing what Lama Surya Das calls the "Sacred Pause” becomes a key to making sure that instead of reacting with anger, that you’ll later regret does not happen, your respond with wisdom and understanding. Practicing the “Sacred Pause” will ensure that you give yourself time to become fully conscious of what is happening now so that your response is wise and in line with current reality. How do you practice the “Sacred Pause?” Here's my version that I've found helpful, but obviously not foolproof. 1-Begin with the intention and commitment to work by being present and mindful of your actions. Commit to being present as much as possible. Of course, when you slip up, don’t bash yourself for messing up. Just return to your commitment to acting and working mindfully. 2. Be aware of when the stress level starts rising and pause to breath deeply, counting your breaths for a few moments. This action will start to move your attention away from the stories your mind is creating around the stress, and refocus it on the now. You don’t want to make decisions based on the “stories” your mind creates, so breathing takes you out of the those stories and brings you back to the moment. 3. Once you’re back in the present, acknowledge and accept your emotions of stress and frustration. It is OK to feel all of these things. They are not a sign of things gone bad. They are part of the business of being a school leader. Give yourself permission to feel frustration and stress; just do not engage in all the stories surrounding those feelings. 4. Finally, once you feel back in the present, “engage the next moment without an agenda.” This means responding by using all your wisdom and understanding, instead of reacting out of anger and frustration. In these busy times at the beginning of the year, one does not have to be Buddhist to recognize the need to practice the “Sacred Pause.” Practicing the "Sacred Pause" will mean the difference between making a bad situation worse, or engaging life with wisdom and understanding. Sometimes there is nothing to add to the wisdom offered by others. I have been reading The Heart Is Noble: Changing the World from the Inside Out by Ogyen Trinley Dorje. In this book he offers this advice to us about our livelihoods or jobs. I think this wisdom can go a long way to helping us keep ourselves centered and focus on what really matters. "Whatever work you do, you have to give yourself opportunities to just be. Even if it is only once a day, you should find a moment to just be yourself in the course of each day. This could be through a short period of meditation or quiet reflection in the morning or in the evening, or in whatever way best suits you. The point is to reconnect with yourself. Otherwise, the whole day you are running around and busy, and it is easy to lose yourself. To guard against this, you should make efforts to return to yourself and recollect what is essential for you." As you begin this new school year, take time to reconnect with who you are and why you do what you do. Wise advice for the new school year. One of the hottest topics in educational leadership right now is teacher evaluations and observations. Finding an effective tool to do this is problematic, especially when trying to find the right solution that gives teachers the right kind of feedback and support. Some states, like my own, have custom-designed observational tools already in place, but I am sure there are school leaders looking for tools to collect teacher evaluation data. BloomBoard is a answer for those looking for such an observational tool, and best of all, it is now free and used by over 100,000 educators. In a recent post on the blog Getting Smart, BloomBoard is described as a tool for providing “school districts and states with user-friendly tools to collect educator effectiveness data---and then recommend personalized training for each teacher based on his or her particular professional needs.” BloomBoard is an observational-evaluation tool that allows school leaders to identify teacher weaknesses and then provide customized support to help that teacher improve. Simple to use interface. Some evaluation software, in its zeal to provide users with tons of options, makes the user interface complicated and non-intuitive. Not so with BloomBoard. Upon logging in, the interface is sleek and intuitively simple to use. There are options to sign in as an administrator, instructional coach or teacher. The learning curve for BloomBoard appears to be quite simple. Those who consider themselves “technologically challenged” will find this software easy to use. Best of all, once the observation is complete, the administrator is provided with a page full of resources to address specific needs identified. BloomBoard is a solution that school leaders will find quite useful in helping teachers grow in their practice. If North Carolina did not have a state mandated solution, I could positively see using BloomBoard to help teachers grow professionally. As educators and administrators, we are always looking for new web tools that have the potential allow our students new ways of creating and publishing content. Brickflow is an interesting, new tool that allows users to turn social media content into slideshows, and is now available for free trials. Brickflow is an interesting, new web tool that allows users to turn social media content into visual stories. It also allows users to create a slideshow based on a hashtag. The creators of Brickflow say creating content is as easy as playing with Legos. After toying with their interface, I would say I agree. Story-creation on Brickflow begins with a zooming whiteboard interface and content is assembled by simply dragging building blocks of content components next to each other. Additional content can be added from sidebar selections that include being able to add additional hashtag content, your own content, and designated favorites. The sources of content are: Twitter, Tumblr, and YouTube. Brickflow provides teachers and students another tool for assembling content to create visual stories. To check out Brickflow and to sign up for a free account, visit their web site here: http://brickflow.com/. Currently, Brickflow is entirely free without limitations. Here's an experimental Brickflow mix I created. As you can see, once the presentations are created, they can be embedded into your blogs as well. For those teachers seeking additional ways for students to assemble and present content, Brickflow is an option. Are you faced with making a major decision or decisions as the school year begins? In our educator roles, the excitement and anticipation of the new year comes packaged with anxiety and worry about decisions we face. Being "decisive" means making the right choices in these situations, and authors Chip and Dan Heath offer school leaders just the right advice on how to be decisive in their new book Decisive: How to Make Better Choices in Life and Work. It is must-have addition the library of anyone tasked with making significant decisions for their school or district. Narrow Framing: According to the Heaths, narrow framing is "the tendency to define our choices too narrowly, to see them in binary terms." This narrowing of options is automatic and causes us to fail to see options that might be better than the ones currently in our "spotlight." Confirmation Bias: According to the Heaths, confirmation bias is "probably the single biggest problem in business. It causes even the most sophisticated to get things wrong." In confirmation bias, we seek information that bolsters our current beliefs, which causes us to fail to see perfectly valid information that might help us make better decisions. Short-Term Emotion: The villain "short-term emotion" is simply when we allow our impermanent, short-term feelings influence our decision-making. This villain causes us to make rash decisions that often make situations even worse. Overconfidence: The Heaths say overconfidence is when we "place too much faith in our predictions." "People think they know more than they do about how the future will unfold." The truth is, as the Heaths point out in their book Decisive, people are more often wrong in their predictions than they are right, yet we display overconfidence in how we think things will turn out. Widen Your Options: These are strategies designed to get you to look for options you are missing due to narrow framing. Strategies suggested by the Heaths include: multitracking, finding someone who's solved your problem, laddering, and looking at analogies from related domains. Reality-Test Your Assumptions: Because confirmation bias causes us to look for "skewed, self-serving information" we need strategies to counteract that bias. According to the Heaths, those strategies include: asking disconfirming questions, zoom out/zoom in, and "ooching." Attain Distance Before Deciding: To counteract the villain of short-term emotion, they suggest a group of strategies that help you attain distance before deciding. These strategies include: shifting perspective, 10/10/10, or clarifying core priorities. Prepare to Be Wrong: As an antidote to overconfidence, the Heath's suggest three strategies: prepare for bad outcomes(premortem) and good outcomes (preparade), look at what would make you reconsider your decision, and set tripwires to trigger attention. As students head back to school for the start of the 2013–14 school year, ASCD—the international education association—offers a new selection of professional development opportunities to enable educators at every level to support the success of each learner. ASCD Arias™ (publications): Educators are encouraged to pick up all of ASCD’s new short-format publications. These convenient and succinct publications offer the expertise of education thought leaders, experienced practitioners, and researchers. Each Arias title is 48 pages in length and will answer a crucial and timely “How do I…?” question. ASCD Arias contains original, standalone content that can be read in one sitting and then immediately applied to practice. The first four publications in the imprint are Fostering Grit by Thomas R. Hoerr; Teaching with Tablets by Nancy Frey, Alex Gonzalez, and Douglas Fisher; Grading and Group Work by Susan M. Brookhart; and The 5-Minute Teacher by Mark Barnes. All titles will be released in August 2013 and are available now for pre-order in print ($12.99) and e-book formats ($6.99). ASCD Conference on Educational Leadership (event): On November 1–3, 2013, join ASCD in in Las Vegas, Nev., for the 2013 ASCD Conference on Educational Leadership. The conference promises to guide educators of all levels to add new ideas to their leadership knowledge base, focus on what matters most in leadership, and connect them with global education leaders. The conference will feature more than 90 sessions, including three General Sessions: “Leading with the Brain in Mind: Five Approaches to 21st Century Leadership” with Eric Jensen; “College and Career Readiness: What We Know, What We Can Do” with David Conley; and “Passion-Driven Leadership: A Commitment to Student Success” with Salome Thomas-EL. Closing the Attitude Gap by Baruti Kafele (book): As educators head back into the classroom, ASCD encourages them to pick up this motivational guide for all educators of underperforming students, Closing the Attitude Gap. This new book by Baruti Kafele, available now for pre-order, helps readers understand how to achieve remarkable results by zeroing in on their attitude toward students, their relationship with students, their compassion for students, the learning environment, and cultural relevance in instruction. “Before we can close the achievement gap, we must close the attitude gap and help all students develop a foundational ‘attitude of excellence,’" explains veteran educator Principal Kafele. Known nationally for his success turning around Newark Tech High School in New Jersey and his ASCD best-seller, Motivating Black Males to Achieve in School and in Life, Kafele continues to pursue his mission to help all learners succeed with this practical and inspiring book. Additionally, ASCD’s blog Inservice will be featuring “Back to School Week” August 19- 23. Visit inservice.ascd.org during back to school week for advice and information relevant to the beginning of the school year from ASCD’s leading voices. ASCD is the global leader in providing programs, products, and services that empower educators to support the success of each learner. Enjoy ASCD’s resources? Become a member. ASCD membership offers more information and ideas about learning and teaching than any other single source. Multiple membership levels offer an increasing number of valuable benefits and resources, including online membership. "New feature allows teachers to collaborate around students’ behavioral and character development and improve behavior consistently across the school day"
Today, ClassDojo, the free behavior management platform for teachers, students and parents, is launching ‘Class Sharing’ feature: the ability for teachers to share their classes with other teachers at their school. This enables teachers to collaborate in order to build positive behaviors and character strengths with their students across classrooms, through the school day. This is the first step towards helping teachers break down the walls separating their classes, and providing them the easiest way to consistently improve behavior with students as they move through classes during the school day. ClassDojo’s ‘Class Sharing’ feature delivers on teachers’ most requested update: collaboration with other teachers across classrooms. ClassDojo was initially designed to allow a teacher to build positive behaviors in a single classroom; the team then discovered that teachers also wanted to work together on growing their students’ behavior. With this newest feature, several teachers in one school can now collaborate around a class of students to deliver consistent experiences that emphasize building positive behaviors and character strengths like like participation, hard work, persistence, curiosity, risk-taking, and helping others. Teachers can now let other teachers provide feedback to their students by giving them ‘full access’ to the class; alternatively they can provide each other ‘view only’ access if they just want to share progress reports. ClassDojo’s mission is to address the ‘other half of education’ that goes beyond just building good test scores, to actually helping students develop the character strengths that are essential for lifetime success. The company is a graduate of the ‘Y-combinator for education’, ImagineK12, and is now one of the fastest growing education startups in history. Thanks, ClassDojo for providing the information regarding this update. Reminder in Midst of the Negativity in Education About What's Important! Most of us have repeatedly been reminded by the media and politicians about how bad the state of education is in our country. They've blamed teachers. They've blamed teacher-education programs. They've blamed administrators. Usually, those who make those inferences base them on test scores, which we all know is only a small piece of what we're really about as teachers. In case you're feeling a bit down about what you do as a teacher and educator, perhaps this will provide you with a bit of an uplift in spirit. This video from the New York Times reminds us what is really important in teaching and in life. 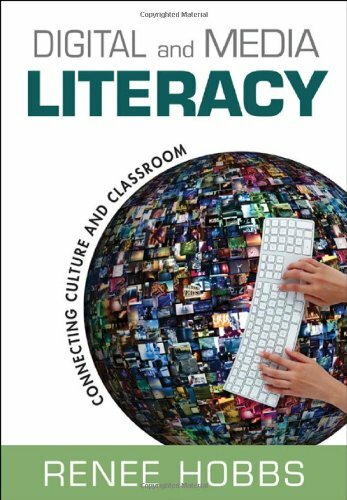 "Schools must embrace a new pedagogy today that will engage 21st century students and enable them to acquire and master 21st century skills. Once they embrace the necessary changes in pedagogy, they realize the need for change in the physical learning environment." Bob Pearlman, "Designing New Learning Environments to Support 21st Century Skills"
In response to the Common Core State Standards many school districts and schools are discussing moving toward 21st century models of instruction like Project-Based Learning and other forms inquiry-based teaching and learning. The problem is, if school leaders do not ask the right questions and do not commit to deep changes in how their schools currently look and operate, attempts to move to a transformative pedagogy like PBL is going to be for naught. Project-Based Learning is not a teaching strategy that can be effectively "bolted" on current or existing school structures and operations. For it to be successful, there needs to be some fundamental deep changes in both thinking and in the way schools carry out the business of teaching and learning. What then, are those deep, underlying changes that need to be considered to move a school or district to an effective project-based learning model? While these are mostly based on my personal observation and reading, Project-Based Learning is a type of "personalized learning" which means it is at its core in direct conflict with the standardized, one-size-fits-all model of schooling we call the :factory model of education." Simply put, you can't successfully implement Project-Based Learning by bolting it on top of a factory model. 1. There has to be a fundamental and deep change regarding what teaching and learning looks like. At the school level this means that teaching can no longer be seen as "imparting knowledge" or "subjecting students to learning treatments." Learning is no longer viewed as something to which students have done to them. Instead, teaching is more about coaching, guiding, and personalizing learning experiences. Learning is more student-centered and student directed. Students have more choice and freedom in what kinds of content they explore and in how they demonstrate their learning. Everyone, from the superintendent down to the classroom teacher assistant must see teaching and learning differently. 2. There must be a deep and fundamental change in the role of the teacher. Teachers in PBL schools do not see themselves as "imparters of knowledge." They take on the role of "facilitators" of learning. They basically have to turn over most of the work of instruction and learning to students. They give up the role of chief information officer in their subject areas. There is little room for "professors" in the PBL classroom. Becoming a facilitator and guide means letting go of the image of the teacher as expert. 3. The way classrooms are designed and laid out must be reconsidered. Classrooms with desks neatly arranged in rows with a teacher desk at the front are not functional in PBL classrooms. Classrooms laid out in this manner communicate clearly who's in control of the learning. It may be efficient for factory-model learning processes, but the PBL classroom requires flexibility. Students seated at tables for collaboration purposes are a must. Free aisles for movement as students move about the room are necessary. Ample technology needs to be available as well. Move the computers out of computer labs and into the hands of students and in the classrooms. Furniture that can moved and arranged easily is a must in a PBL classroom. Spaces devoted for student meetings and conferences as well as independent work areas are needed. Rethinking how space is used in a PBL school is a must. 4. The concept of using predominately "seatwork" must be abandoned. PBL requires students to move about the entire campus and beyond. Students need to be able to go to the school courtyard to shoot scenes for a video. They need to be able to walk down to the mayor's office in town to interview her about an issue they are researching. They need to be able to get in their car and drive to the local history museum to view an exhibit. Seatwork, by its nature, is designed to keep students sitting in their seats quietly. As Ron Nash puts it, we need give students "feetwork" not "seatwork" in our PBL classrooms. Learning in the PBL classroom is not a spectator sport. 5. The whole idea behind "seat time" or having distinctive "blocks of time per subject" must be modified. The old equation 1 hour = adequate learning or 2 hours = even more adequate learning needs to be abandoned. PBL sets the conventional and long-held wisdom that learning happens only in classrooms on its head. Learning happens where students are and what students are engaged in. Classrooms are no longer the centers of learning in our students' lives. The idea that students must sit in biology for 90 minutes every single day to learn is no longer true, if it was ever true. The idea of seat time simply betrays the thinking that learning is something students must be subjected to rather than something they engage in. PBL is about engaging in learning personally, not sitting in a desk, having it imparted to you in prescribed, discrete time period every day. 6. School operations and procedures and rules must be modified. To put it simply, PBL implementation plays havoc on the classical orderliness of a school. When students are engaged in projects, they are potentially everywhere on campus. They may be off campus shooting video of an interview with a local CEO, or they may be in the hallways rehearsing a skit or play they have written. Rules like students must remain in their seats until the bell rings are ridiculous in PBL classrooms. Rules such as students can't leave campus during the school day are obstacles to powerful project-based learning. The ways schools operate under PBL must be modified and the rules must be examined and modified to allow for the often messy and chaotic nature of learning under the PBL model. 7. Efforts must be made to demolish traditional boundaries of subjects and grade levels. In high school this means the death of organization by departments. PBL by subjects and by departments falsely compartmentalizes knowledge. In the real world, when workers solve problems, they work interdisciplinary. Solving a town water problem is never just a science problem; it is also a civics problem, a communications problem, and most likely a math problem. Schools adopting PBL must be willing to dissolve departmental and subject boundaries. Traditional high school teachers must give up their turfs and kingdoms and work collaboratively across subject areas. In elementary schools, the idea of devoting time to subjects needs to be abandoned in order to focus on projects that have no subject-area boundaries. In PBL school knowledge is not falsely compartmentalized by subject area. 8. The idea of having one set schedule for all students needs to be reconsidered. Schedules with ringing bells are fossils from the factory model of education. Yes, they do efficiently move students about the building during the school day, but too often they sacrifice effectiveness for efficiency. The whole idea of a discrete schedule for all students all the time can hamper or restrict PBL implementation. Students must be able to leave campus to visit museums, places of business, and governmental centers. Schedules most be modified to allow for learning to extend beyond the classroom walls. To do this, the whole idea of static schedules needs to be re-examined. 9. Administrators must be more tolerant and willing to encourage much risk-taking. PBL requires teachers to be willing to give up a great deal of control over student learning. School leaders must be willing to allow teachers to experiment and explore too. Administrators who try to exert too much control over the immediate environment of the school stifle true exploration. It comes down to the question of whether the desire for strict orderliness outweighs the value of the learning experience. For PBL to thrive, school leaders must be willing to let go of their desire to control everything too. Mistakes are causes for learning, not something to be avoided. Administrators in PBL schools must change their desire to control what is essentially a very messy learning model, yet still maintain safety and operational effectiveness. 10. Teachers must move to interdisciplinary, collaborative learning communities. PBL requires teachers working together. Planning projects effectively forces teachers to work together. They must be willing to use processes like "critical friends" to obtain feedback on their project plans. In a PBL school, teachers must be willing to give up ownership of both time and space. Students in their classes may need to go down the hall and work in a lab or down the street to city hall. Teachers may also need to allow students in their classes throughout the day. Implementing PBL requires collaboration among all staff, including those in the central office. 11. Professional development in PBL is not a one-time, sit-and-get endeavor. It must be embedded, consistent, and perpetual. I fear those talking about implementing PBL are thinking about subjecting entire schools or even their entire districts to PBL training and then calling it a day. Or, even worse, they subject all teachers to the training, provide administrators with "gotcha" lists to then go out to the classrooms and force teachers to engage in PBL. To truly move to PBL requires buy-in. It takes time and lots of support. Teachers must be provided with all the materials and resources needed to effectively implement. School leaders must be willing to provide ample time for common planning during the school day and school year. Professional development must involve a long-term commitment to provide constant and ongoing training during an implementation period and beyond. 12. Schools and school districts must be flexible. Public schools in the United States in my experience aren't known for being flexible institutions. They demand conformity, not creativity. They demand adherence to policies and rules, often at the very expense of the teaching and learning. Sure, schools as institutions need policies and rules, but these should never exist for their own sake. They need to be flexible to meet the fast-changing environment that is fostered when schools truly move to a 21st century learning model like PBL. Forcing PBL instructional models on inflexible institutions will not work. Those schools and school districts thinking they can just "bolt" Project-Based Learning onto their existing structures and existing operations are doomed to making the same mistake those who advocated and pushed for the "Open Schools" concept in the 1960s. They built enormous buildings with classrooms without walls and simply put teachers, teaching the way they always have into these spaces and told them to get at it. Naturally it failed. They did not seek fundamental changes to how teachers engaged in teaching and students engaged in learning. They did not change their own deep understandings of how learning should happen in those spaces. If schools are going to successfully implement PBL, they must be willing to engage in a deep rethinking about education and how it is carried out.